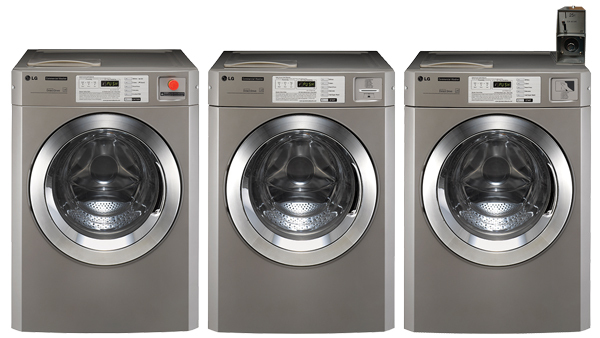 A true triple load washer priced lower than competition’s double load washers! Now Available in pump or gravity drain models. 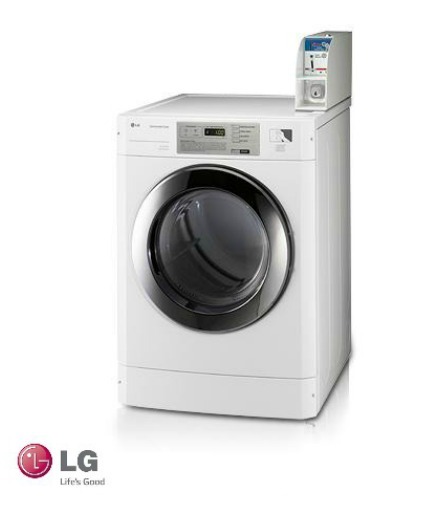 The LG Platinum Commercial Laundry System offers laundries unrivaled energy-efficiency, programmability, installation flexibility and durability. 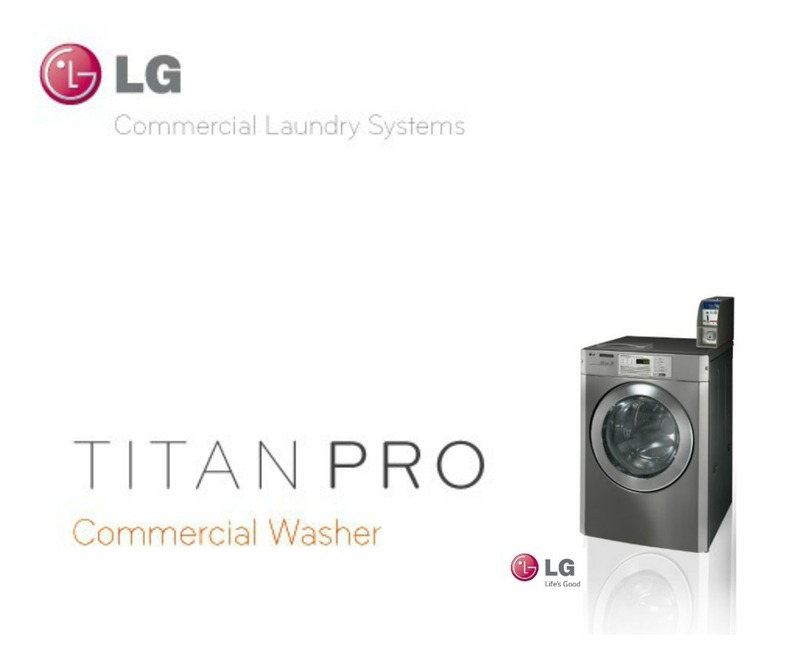 Offering 35 pounds of capacity, LG Titan Pro Washers are configurable to meet the needs of nearly any laundry application. 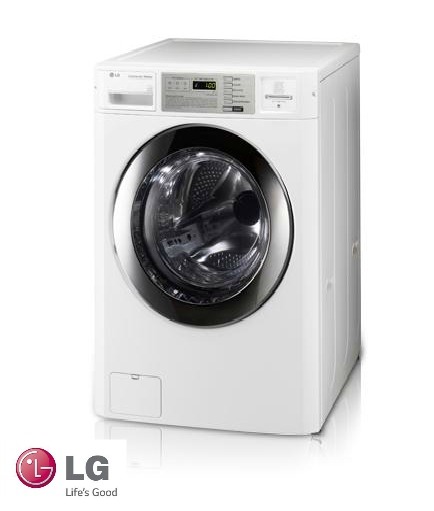 The Inverter DirectDrive™ technology of an LG Commercial Laundry System is designed to provide the most durable, long-lasting and quiet washers on the market. The Inverter Control and Direct Drive System work together to maximize energy savings. The inverter Control System generates fewer speed fluctuations while using only the necessary amount of electricity throughout the wash cycle while maintaining optimum performance. Meanwhile, the Direct Drive Systems delivers power directly to the tub from the motor minimizing energy loss. The motor is directly attached to the center of the drum. This allows for increased stability, minimal vibration, less noise- no frictional noise, increased durability, no wear out and fewer parts- the belt and pulley have been removed. 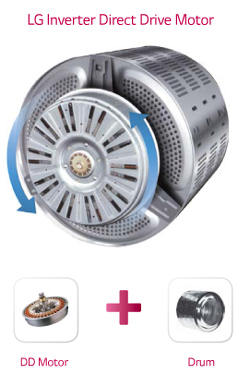 By eliminating the belt and pulley found in conventional washer motors, LG’s Direct Drive system increases the motor’s stability and lessons vibrations. This gives Direct Drive increased durability which translates to lower maintainance costs. The Dual Lock System surrounds the machines coin box, doubling security. The only way to open is with the security keys. A dirty tub from long operation can worsen washing performance. The tub cleaning program in LG Commercial Washers helps you keep a clean tub even in the busiest of locations. When an LG Commercial Washer detects over-suds during a washing cycle, it moves into a suds-reducting process which delivers a better washing performance. If something is wrong with the machine, it can easily be opened without force. Just simply pull out the front panel and top cover. Most repairs are possible with just the top cover is opened. A simple slide-out is featured on most stacking option kits. 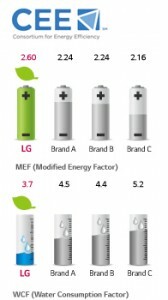 LG Commecial Laundry Systems are CEE top tier 3 rated and ENERGY STAR qualified, meeting the industry standards of energy efficiency. LG Commercial laundry products are designed to use less energy and water without compromising performance and superior cleaning. Choosing ENERGY STAR qualified commercial equipment for your laundry facilities will save you a significant amount of money making it the most efficient choice for your business. Atomizing nozzle sprays fresh water onto the clothes and door, helping to fill the machine quicker, allowing clothes to rinse faster and lessen soap residue. In addition, when you select Non-Stop wash, the entire cycle time is decreased allowing your business to run more efficiently. 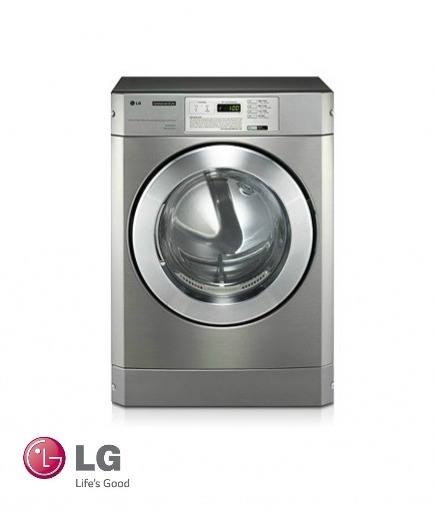 LG Giant-C Plus machines have the fastest spin cycle in the market today. 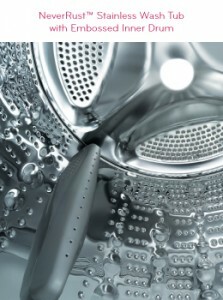 Spin cycles with a speed of 1,200 RPM and 413 G-Force, clothes have the least moisture remaining after washing. This dramatically cuts down the drying time, saving you time and money. When you choose SaveMore Commercial, you get a total solution including the best in customer support for your business.